allavicini family belonging to the Italian aristocracy. 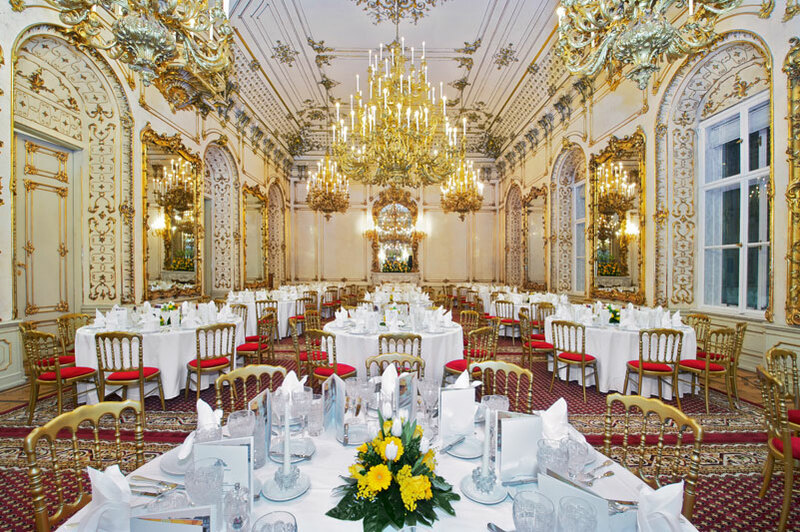 The state rooms on the second floor were completely redesigned by Margrave Alfons Pallavicini between 1845 and 1850 and they can still be admired today in astonishingly good condition. You will find the palace between the Imperial Palace and the Spanish Riding School. Close to subway stations and other means of public transport such as buses and trams. Many hotels are also located close to the venue. Parking garages can be found next to the opera, or on the Freyung. Further information can be found under the following link: www.parkeninwien.at.